Our success in personal injury negotiation and litigation in Kansas City is built on knowledge, discipline, and creative insight. 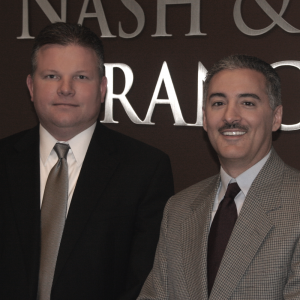 The personal injury attorneys at Nash & Franciskato are intensely familiar with the difficulties faced by you and your family when your lives have been forever changed due to someone else's negligence or intentional act. Our goal is to help you and your family put your lives back together by obtaining the compensation you deserve from a personal injury to restore your health, pay medical bills, regain a sense of security, recover lost wages, and take care of other serious consequences. Our legal team has decades of experience managing the claims process. We will work closely with you, providing a caring, supportive environment every step of the way. Understanding insurance law and the practices of insurance companies is an essential asset when pursuing personal injury cases. There is no substitute for experience. From collecting the maximum on your uninsured motorist coverage to appealing your denied ERISA health insurance claim, the Nash & Franciskato lawyers will go the distance for you in your lawsuit or insurance dispute. $1.1 Million Settlement for severe personal injuries against a trucking company where the truck driver had falsified his log books. $450,000 Settlement against a restaurant for defective handrails and inadequate lighting when a client fell and broke her hip. Contact the capable counsel you need now. One of our experienced personal injury lawyers will speak with you personally and provide you with a free, no-obligation case evaluation. What types of damages can I be compensated for in a personal injury case? This will vary by state, but in general, damages may include medical expenses, pain and suffering, mental distress, lost wages, scarring and disfigurement, permanent physical impairment, nursing care, rehabilitation, property damage and other similar expenses. Injuries sustained can range from burns, amputation, soft tissue damage, back and neck injuries, brain and head traumas, knee and shoulder damage, spinal cord injuries, cuts and lacerations, and broken and fractured bones. If I am in an accident, are there things I should not do? This is a good question. Most people focus on what they need to do after an accident and do not really think about things they should avoid. DO NOT admit fault, apologize, or assume blame for the accident. Be sure you request a copy of the police report, give a detailed description of the accident, and take plenty of photos. DO NOT settle until all of your medical treatment is finished and your injuries completely healed. If you do, you may miss including some of the final treatment expenses. DO NOT sign Release forms or checks with Releases on them before you are ready to settle. DO NOT talk to people about the case unless you need to. This includes sharing ANYTHING on social media. If anyone asks, either say nothing or thank them for asking and tell them you cannot make any comments. You especially do not want to say that you are feeling fine or any other comments about your health. Your personal injury attorney will guide you in what you need to do.